A research about the Tipping Point for changes. New website coming soon! Can you visualize your research into pictures? Can you show your ideas and thoughts in the “20 images x 20 seconds” format? Can you tell your research in 400 seconds? Vea Mafile’o & Jerry Tauamiti // Malosi Pictures // Filming Digital Fananga 3 x Pasifika Legends in Tonga. The organic nature of filming with a small crew & the challenges and rewards of filming in the Pacific. The presentation format is based on a simple idea: 20 images displayed for 20 seconds each whilst the presenter talks you through it. 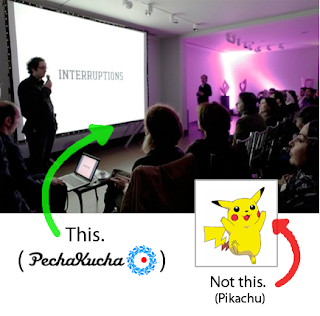 It is a format that makes presentations concise, and keeps things interesting. It forces people to reduce, to clear their minds and think about what is relevant. It is amazing how much you can put across in 6 minutes and 40 seconds. 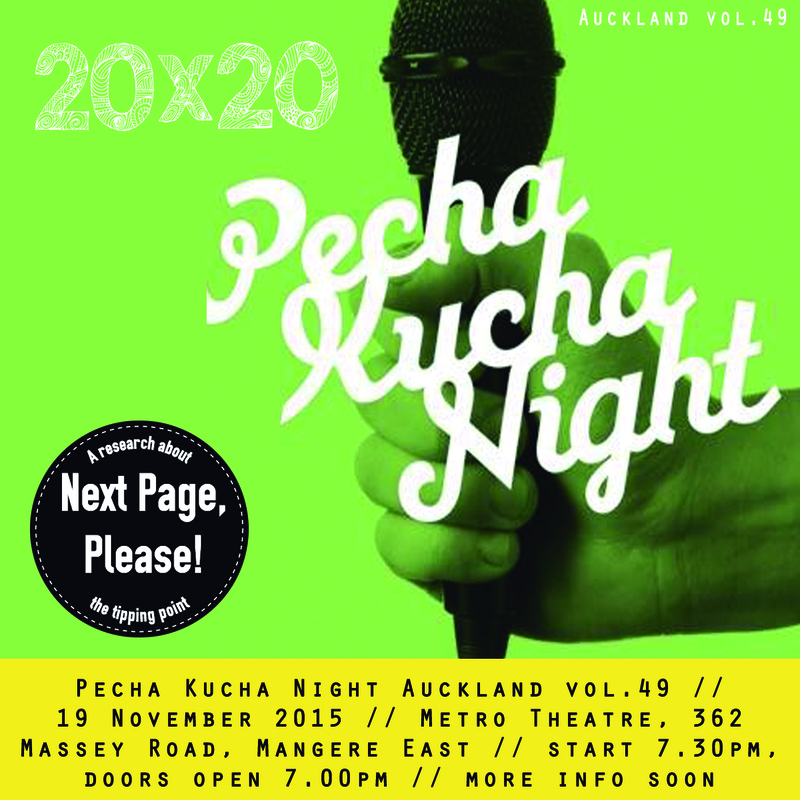 PechaKucha Night was devised in Tokyo in 2003 by Klein Dytham Architecture. It draws its name from the Japanese term for the sound of “chit chat”. It was started as an event for young designers to meet, network, and show their work in public. It has however, turned into a massive celebration, with events happening in hundreds of cities around the world, inspiring people worldwide.